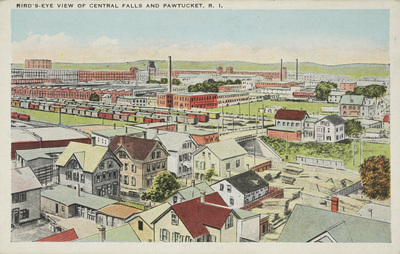 "Bird's-Eye View of Central Falls and Pawtucket, R. I." by Oscar's Variety Store, Central Falls, R. I.
Bird's-Eye View of Central Falls and Pawtucket, R. I.
Oscar's Variety Store, Central Falls, R. I.
Oscar's Variety Store, Central Falls, R. I., "Bird's-Eye View of Central Falls and Pawtucket, R. I." (1915). Rhode Island Postcards. 396.